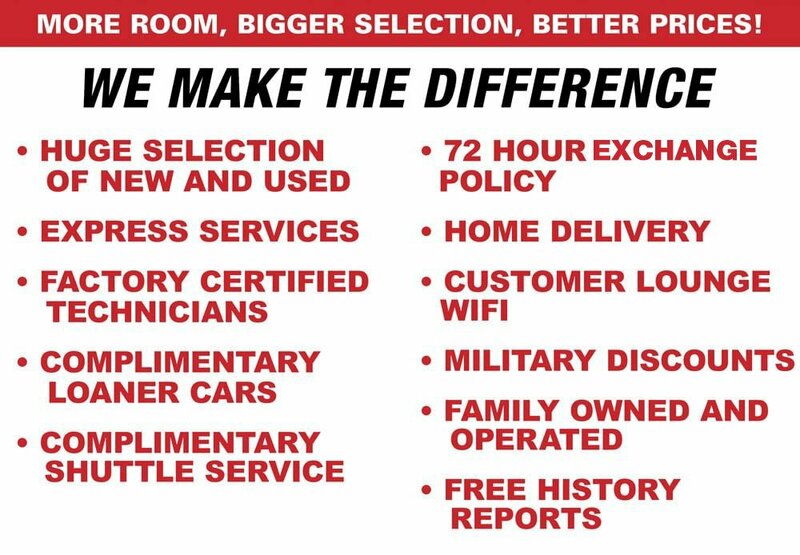 Lumberton Honda specials serving Lumberton, Fayetteville and all of North Carolina. Request current offers, incentives, finance options or schedule a test drive. We offer Market Based Pricing, so please call to check on the availability of this vehicle. WE'LL BUY YOUR VEHICLE, EVEN IF YOU DON'T BUY OURS! Awards: * ALG Residual Value Awards * 2016 KBB.com Brand Image Awards 2016 Kelley Blue Book Brand Image Awards are based on the Brand Watch(tm) study from Kelley Blue Book Market Intelligence. Award calculated among non-luxury shoppers. For more information, visit www.kbb.com. Kelley Blue Book is a registered trademark of Kelley Blue Book Co., Inc. Spare Wheel Size (in): 16"
*Internet Price Includes Factory Incentives. Pre-Owned Internet Pricing is Only Available for Prime Lender Financing (680+ FICO Score). Financing must be obtained through Dealer Financing or lose $1000 Finance Assist to get price for Used Vehicles. Average reconditioning cost must be added to all used car pricing. Second Key, Floor Mats, Owner’s Manual May Not Be Available on all Pre-Owned Vehicles. While Every Reasonable Effort Is Made To Ensure The Accuracy Of This Data, We Are Not Responsible For Any Errors Or Omissions Contained On These Pages. Price Does Not Include Tax, Tag, Title, and $899 Dealer Fee. A copy of the advertisement must be presented at the time of purchase to receive any special or advertised price. Prior sales are excluded. Cannot be combined with website offers. We attempt to update this inventory; however, there can be a lag time between the sale of a vehicle and the updating of inventory. Please contact us to verify availability. Car and Driver, January 2019. 2019 CR-V won compact SUV category. 2017 Ridgeline won mid-size pick-up. Car and Driver, January 2019. The 2019 Motor Trend SUV of the Year® includes the full Honda CR-V lineup. Based on 2019 EPA mileage ratings. Use for comparison purposes only. Your mileage will vary depending on driving conditions, how you drive and maintain your vehicle, battery-pack age/condition and other factors. The 2016 Accord Sedan with Honda Sensing™, the 2016 Accord Coupe with Honda Sensing™, the 2016 Civic Sedan with Honda Sensing™, the 2016 Pilot with Honda Sensing™, and the 2016 CR-V Touring have been awarded the coveted 2016 TOP SAFETY PICK+ rating from the Insurance Institute for Highway Safety (IIHS) in recognition of their superior crash safety performance. 2016 Models - Based on 2016 EPA mileage ratings. Use for comparison purposes only. Your mileage will vary depending on how you drive and maintain your vehicle, driving conditions and other factors. 2016 Models - Hybrid: Based on 2016 EPA mileage ratings. Use for comparison purposes only. Your mileage will vary depending on driving conditions, how you drive and maintain your vehicle, battery-pack age/condition, and other factors. 2017 Models - Hybrid: Based on 2017 EPA mileage ratings. Use for comparison purposes only. Your mileage will vary depending on driving conditions, how you drive and maintain your vehicle, battery-pack age/condition, and other factors. Government 5-Star Safety Ratings are part of the U.S. Department of Transportations New Car Assessment Program (www.safercar.gov). Model tested with standard side airbags (SAB). For more information, visit Kelley Blue Book’s KBB.com. Kelley Blue Book is a registered trademark of Kelley Blue Book Co., Inc.